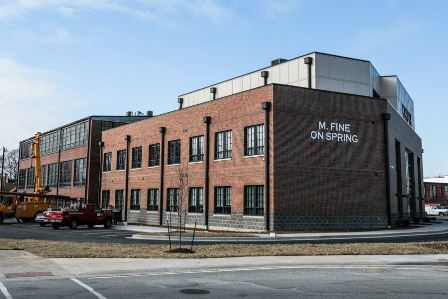 New and Under Construction - New Hope Services, Inc.
M. Fine on Spring was known for years for its Halloween-time “Industrial Nightmare” haunted house, but in December 2017 it became a modern affordable housing community for seniors. The development offers a mix of one- and two-bedroom apartments exclusive to seniors age 55 and older. 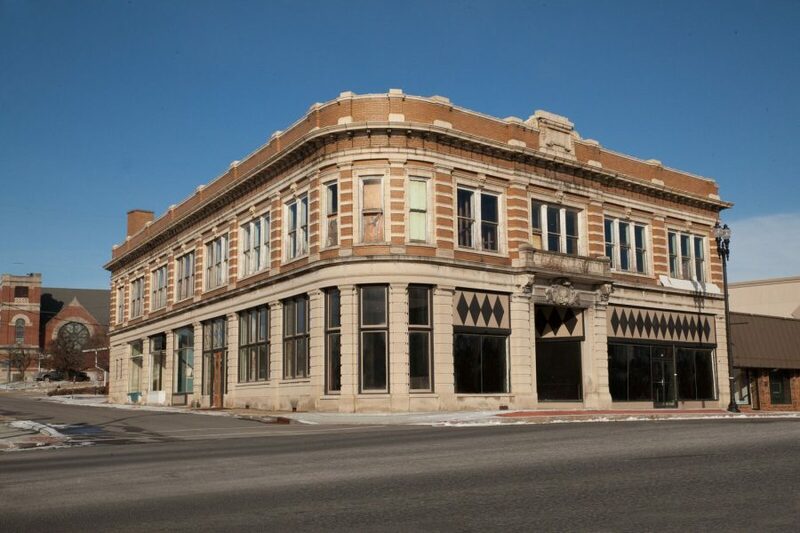 The building blends new construction with preservation of the historic section, which was built in the 1930’s by clothing manufacturer M. Fine & Sons. There are 51 apartments; some are handicap accessible and all are equipped with energy efficient appliances and mechanical units. Amenities include an on-site fitness center, theater, community rooms, and an outdoor roof terrace. 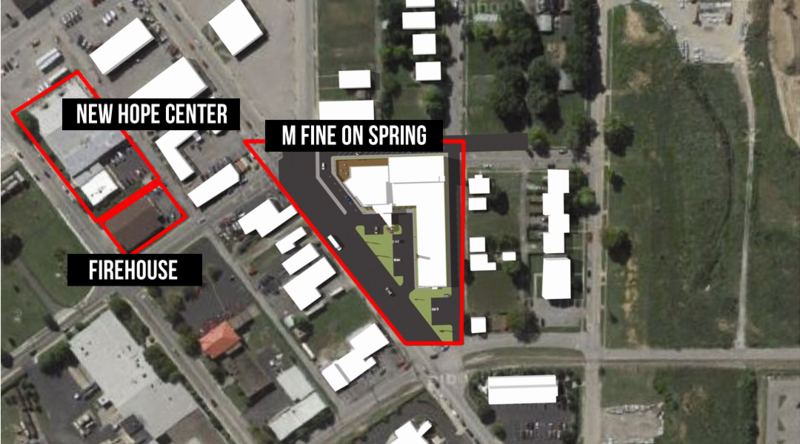 Located at 835 Spring Street in Jeffersonville, it is on the edge of the new downtown arts and cultural district which will offer green space, interactive life-size games, shaded seating areas, performance space, two museums, and much more. Davis Zeller Place is an adaptive reuse senior housing development in Brazil, IN. Two existing buildings will be converted into 36 living units, along with an additional 12 new construction units. The project features one and two bedroom units with modern amenities. Adaptively reusing the historic junior high school and Davis buildings preserves and revitalizes two historic landmarks. The new construction will replace blighted structures in the neighborhood. Construction will begin in 2017 with opening in early 2018. This project will offer affordable housing for seniors and individuals with disabilities in Elwood, Indiana. It is an historic adaptive reuse development consisting of a mix of 23 apartment units in the Leeson’s building and 23 units of new construction duplexes and one triplex on lots recently cleared for blight elimination in Elwood. All units will have 2 bedrooms and most will have 2 baths. Amenities at the Leeson Building include a restaurant, rooftop garden, fitness center and community room. All units will have 2 bedrooms and most will have 2 baths. Construction will begin in 2018.